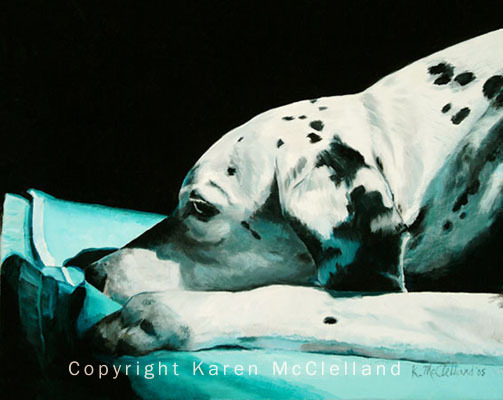 Dalmatian limited edition giclee art print, dog painting done by artist Karen McClelland titled "Reflections"
Dalmatian dog print titled "Reflections"
A true limited color palette. I loved the contrasty chiaroscuro feel and the natural reflections from the blanket onto the dog. This painting, and then print is based on the 2004 Photo contest winner.